While St. Patrick's Day, also known as the Feast of Saint Patrick, is a holiday that is celebrated by the Irish, it has been widely embraced by many cultures and communities around the world. 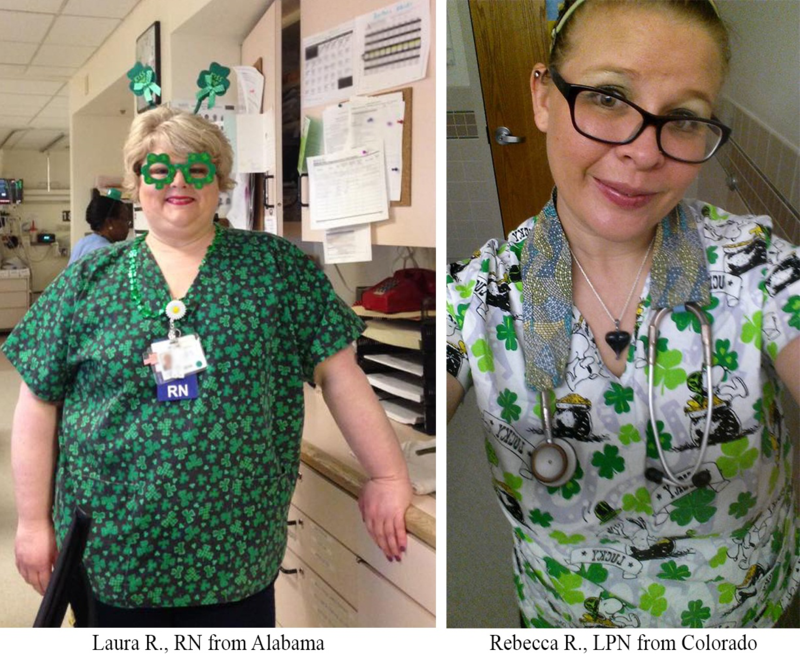 As someone who is tasked with uplifting people's spirits, you might want to consider celebrating St. Patrick’s Day with your unit, patients or co-workers. It's something fun that everyone can look forward to and it's a great activity that can help strengthen the bond between everyone participating. If you're stumped on how you can celebrate - fear not! 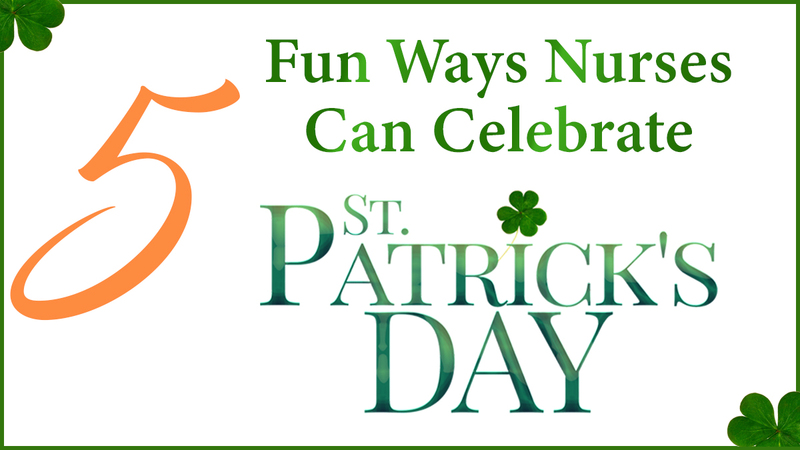 Here are 5 fun ways for nurses to celebrate St. Patrick's Day. This one is pretty much self explanatory but it's the perfect reason to pull out those bright green scrubs that you've been dying to wear. And hey...if you don't have any green scrubs, you can always avoid getting pinched by wearing green nail polish, green lipstick, green eyeshadow, green earrings...heck anything green! Take a look at how two nurses from our #NCESquad celebrates. I mean...do we even need to say anything about comfort animals? 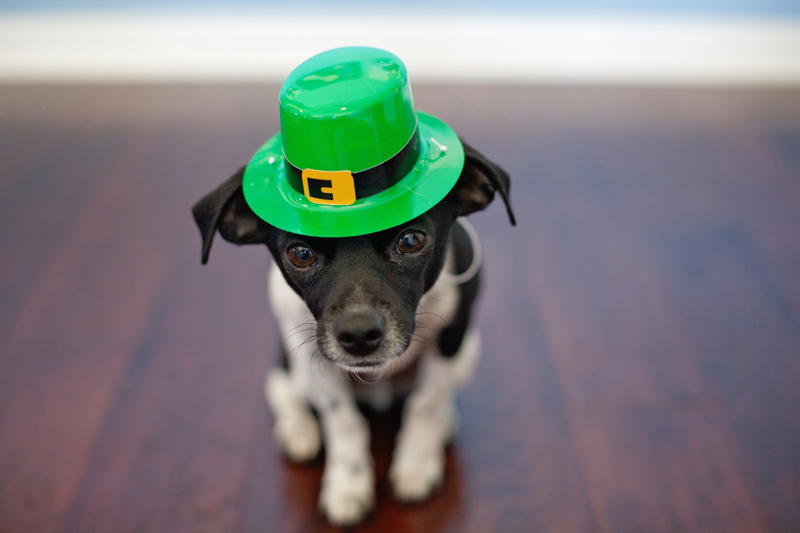 Before you bring your adorable puppy or kitten dressed as a leprechaun to work, make sure that you check with management and your patients. Your workspace is a great place for you to show off a little bit of your personality and it's a great opportunity for you to do some fun crafts with everyone working that day. 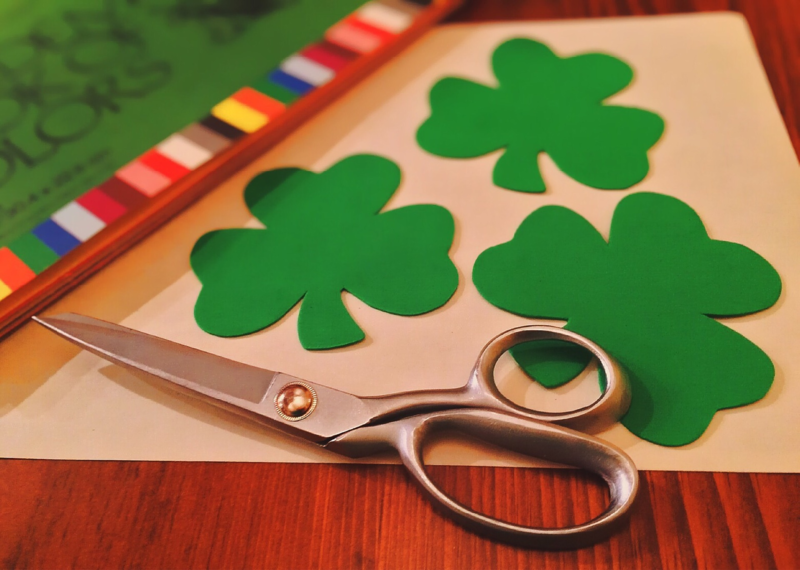 Here's a tip: Do some DIY projects where you can paint some green streamers or personalize a 4 leaf clover for your patients. Just because you can't have a beer while you're working doesn't mean that you can't still celebrate. 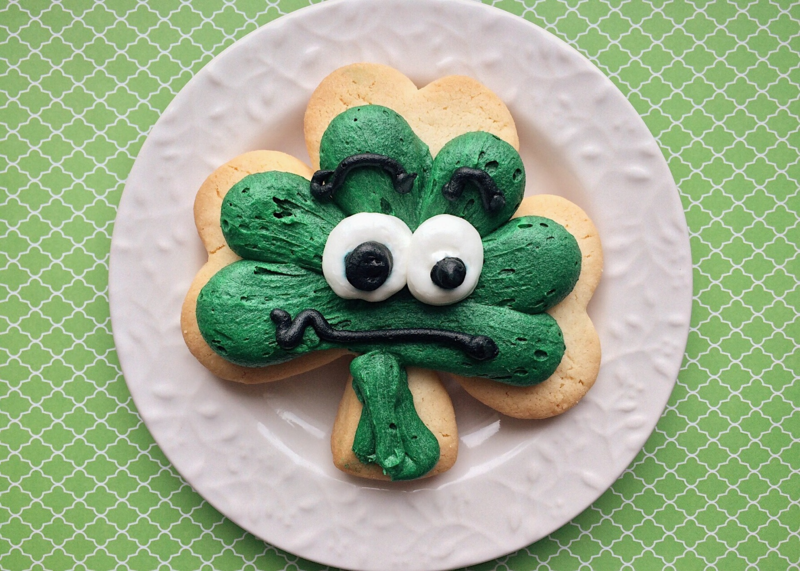 You can bring in some festive green cookies or maybe even some green jello to share with your unit (hint: it might be time to try a St. Patrick's Day potluck). 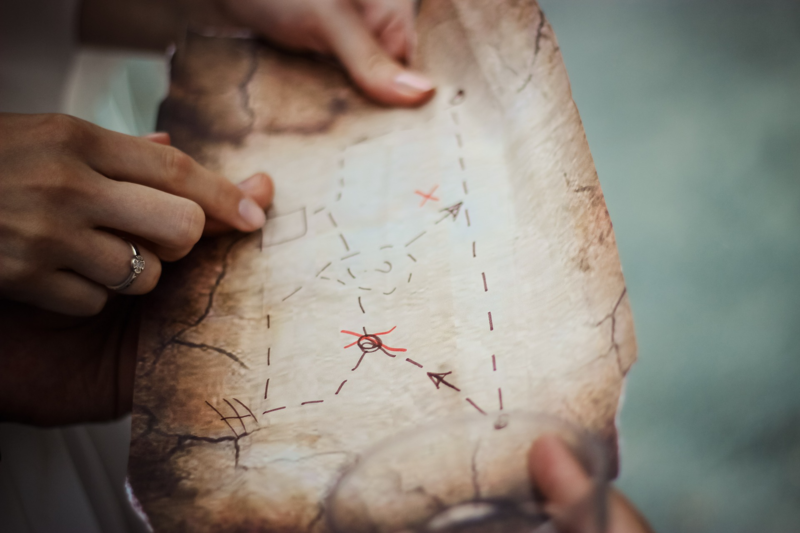 Buried treasure anyone? Ok, it might be too much to hide a pot o' gold around the hospital or nursing home but this is the perfect time to have a scavenger hunt. All you need is some gold coins as a prize and you're good to go! You can also try playing some other fun games like Charades or Pictionary - just as long as you're giving away gold coins. Whether you're planning to have a big celebration or just looking for something quick and fun to do with your patients and co-workers, remember to have fun, make memories and smile. Laughter is the cheapest medicine that you can give to your patients. Don't forget to take advantage of our St. Patrick's Day sale. From now until March 18, you can get 20% OFF all our CE courses! Normally, we offer 36 CE hours for $39, but with our 20% off coupon code you get those 36 CE hours for just $31.20. Enter coupon code CLOVER at checkout - this sale ends this Sunday, March 18 at 11:59 pm PT.